A plurality of Americans who earn bachelor's degrees do so by starting out at a community college. Doing so frequently means that students need not borrow (or borrow as much) to pay for college. But some high school students -- and their parents -- see community colleges as second class. 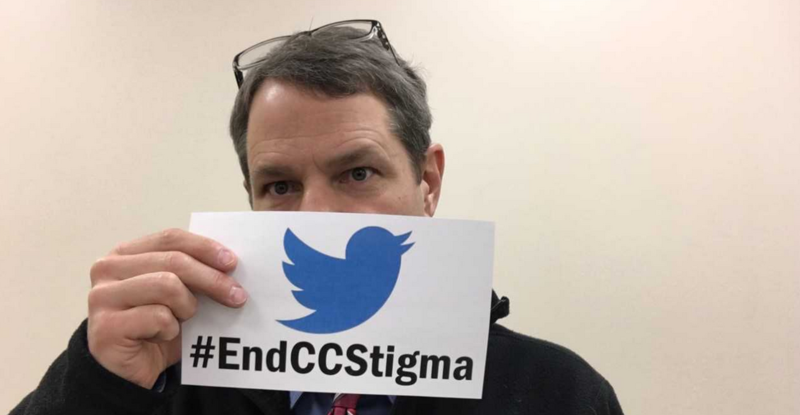 Steve Robinson, the president of Owens Community College, in Toledo, Ohio, has started a social media campaign -- #EndCCStigma  -- to take on the issue directly. "Intellectually a lot of people understand our value proposition, and we've made a lot of traction, but we need to get out from a bunch of outdated assumptions about community colleges," said Robinson in an interview. As he was thinking about the issues, he said, "it hit me that this is a stigma issue. I'm a direct person, so I'm trying to amplify what people have said about how inaccurate the stigma is." So Robinson (and other community college leaders joining the campaign) are tweeting links to columns  by students who transferred to community colleges about why they floundered at four-year institutions and found purpose at community colleges, pieces in which alumni talk about "overcoming the stigma " of attending a community college, testimonials from celebrities  such as Tom Hanks, and data on the benefits  of attending community colleges. The arguments and examples aren't new to those who know community colleges. But Robinson said that the hashtag is important in that advocates of community colleges are admitting that there is a stigma (which, of course, does not mean it is based on facts). Robinson said it was important to admit that stigma is real in part because even advantages of community colleges seem, to some, to play into the stigma. "We're affordable, far more affordable," he said. "But that comes with the stigma that if it's not expensive, it can't be good." And some of the negative ideas about community colleges -- such as the view that transfer of credits is difficult -- may still have some truth behind them. But colleges are changing, he said, noting his college's programs that allow for simultaneous admission to Owens and to Bowling Green State University and the University of Toledo. In other areas, the public perception may be influenced by a mix of snobbery and ignorance. Take academic rigor, for example. Numerous studies have shown grade inflation to be rampant in higher education. But there is one sector where that is not the case: community colleges . And there is the recent study  by the Jack Kent Cooke Foundation that community college transfers do well academically at elite colleges, even if few of them are admitted. As the campaign launched, the National Association for College Admission Counseling released a new report  on what high school counselors know about community colleges. And that report drives home Robinson's point that the stigma is real, particularly at private high schools. Counselors at public schools were much more likely to strongly agree that community colleges offer rigorous academic course work than were their private school counterparts (42 percent compared to 23 percent). The greatest levels of stigma were reported at private, nonparochial schools. Counselors at more than half of private, nonparochial schools indicated that community college transfer was very stigmatized among parents/families (61 percent) and students (53 percent). Twenty-four percent of survey respondents from private, nonparochial schools reported that community college transfer was "very stigmatized" among the administration of their schools, compared to only 10 percent of private, parochial schools and 4 percent of public schools.